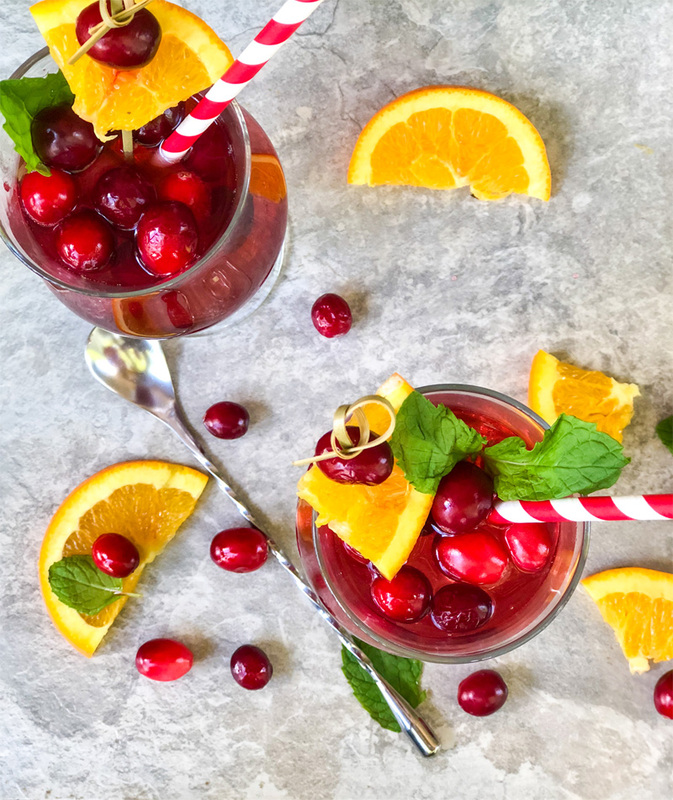 The tart, crisp flavor of cranberries blended perfectly with the sweetness of raspberry with just the right amount of fizz, makes this Cranberry Raspberry Sparkling Spinner a refreshing, delicious addition to your summer cocktails. 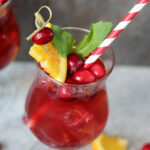 Cranberry Raspberry Sparkling Spinner Cocktails are an alcoholic beverage and are for 21+. Please drink responsibly. Spindrift Sparkling Waters sent me some cans to play around with and come up with some cocktails. The drinks on their own are SO refreshing, but mix them up into cocktails and you get something really special. That’s why I came up with these Cranberry Raspberry Sparkling Spinner Cocktails. Are you wondering where the name came from? Simple really. This drink gets its great flavor and taste from the added Spindrift Sparkling Water. So to have a little fun with the name, I came up with Sparkling Spinner. Cute right? Yeah, I know. Maybe a little silly, but these Cranberry Raspberry Sparkling Spinner Cocktails were a big hit with my friends. These flashy little gems needed a fun name and everyone thought it was great. And that’s really all that mattered to me. 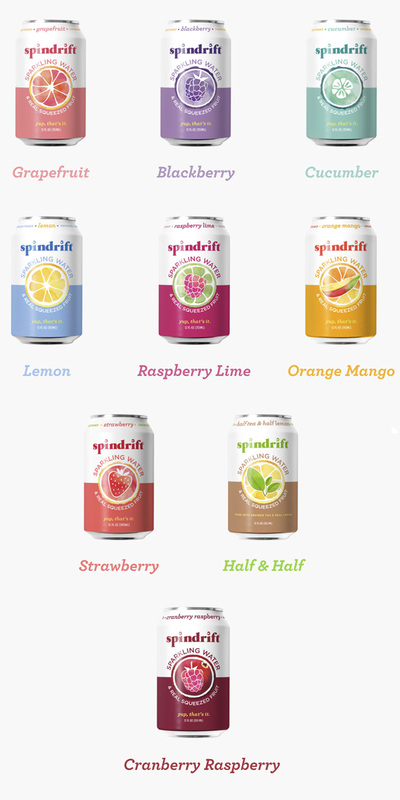 Spindrift comes in many flavors so there’s really something for every taste. New flavors pop up all the time. Spindrift is special because it is the first of it’s kind, really. Sparkling water and real squeezed fruit. Yup, that’s it. 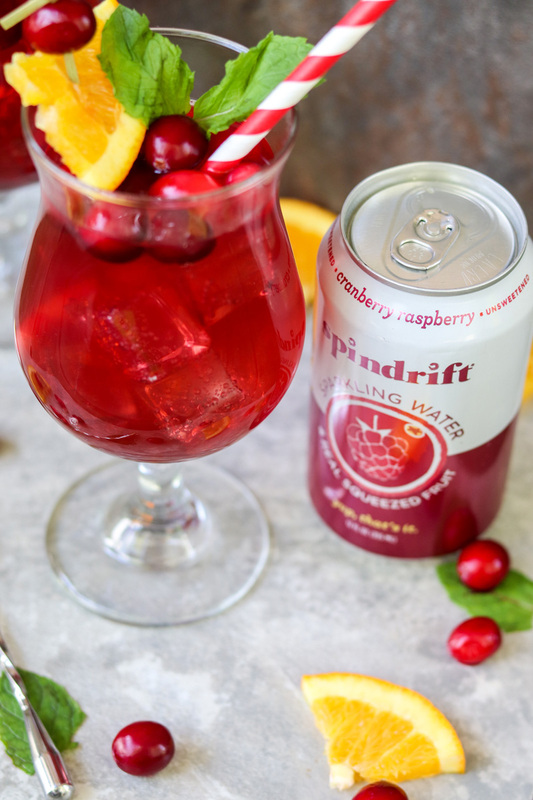 Cranberry and Raspberry go SO well together and Spindrift’s newest player is their Cranberry Raspberry Sparkling Water. I knew it would be perfect in a refreshing summer cocktail I wanted to make for my friends. And it was! A hint of citrus with all the cranberry raspberry flavor you could imagine. Tart and sweet, bubbly and sparkly and delicious. I honestly fell in love with these Cranberry Raspberry Sparkling Spinner Cocktails. And I really think you will too. At our house we enjoy spindrift as a refreshing beverage just about any time of day or night. But in the summer evenings when we are hanging out with friends and family and neighbors, we like to have a little fun and mix up some cocktails. Let me just tell you that any cocktail that calls for soda water or sparkling water – replace it with Spindrift. You will thank me later. Real squeezed fruit. Sparkling Water. Yup, that’s it. You add the things you want in your cocktail and you have a refreshing drink that will keep you cool all summer long. St. Louis has been so hot this summer that it’s been hard to find occasions to enjoy the outdoors. I’m looking forward to next week when it’s supposed to be a little cooler so we can do some friendly neighborhood BBQ’s again. 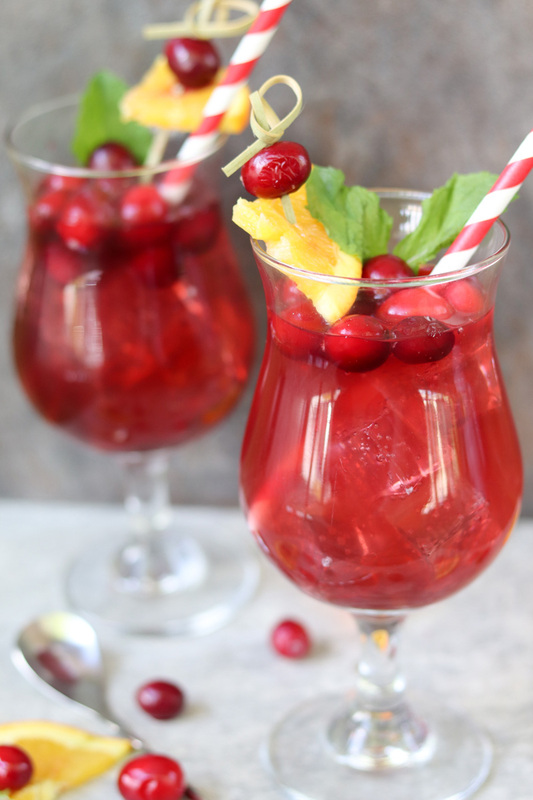 You better believe these Cranberry Raspberry Sparkling Spinner Cocktails will be on the menu. You can find out where to get your Spindrift to make your own cocktails by visiting their store locator. Near me, I can get it at Trader Joe’s, Whole Foods, Target, Costco and a variety of restaurants like Panera Bread, Chipotle and Noodles. The store locator is handy because it shows exactly which flavors are available at the various locations. I love that! I’m now on the hunt for Spindrift Cucumber (Whole Foods) because I can think of so many different cocktails I could infuse that refreshing Cucumber Sparkling Water into. Right? I have only tried a handful of flavors so I will be buying more to create some more fun cocktails because why not? The Spindrift Sparkling Water is a great addition to any cocktail and trust me, delicious and refreshing all on their own! 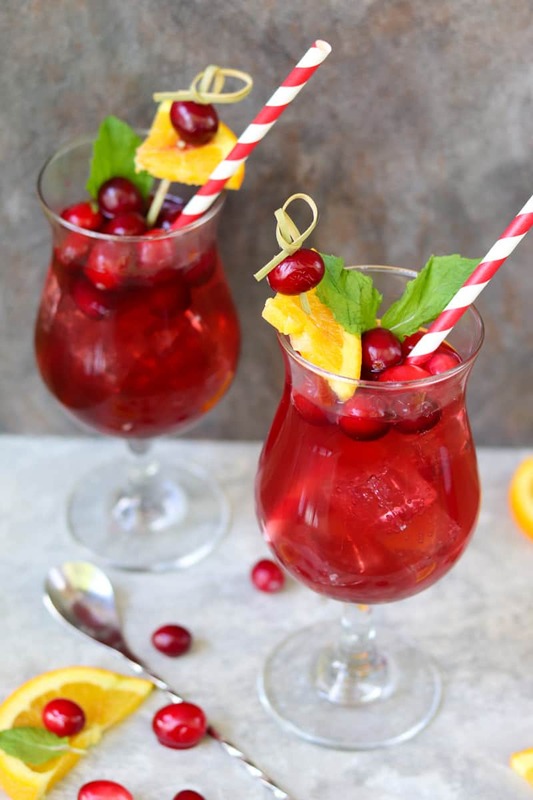 These Cranberry Raspberry Sparkling Spinner Cocktails were created with a summer flavor in mind, even though we traditionally think of Cranberry at holiday time. These will be fantastic then too, but trust me when I say how great these cocktails are with a picnic or BBQ in the heat of summer. Refreshing, overflowing with ice, they are great on a hot day hanging out with friends, and guess what? Even the guys like these. 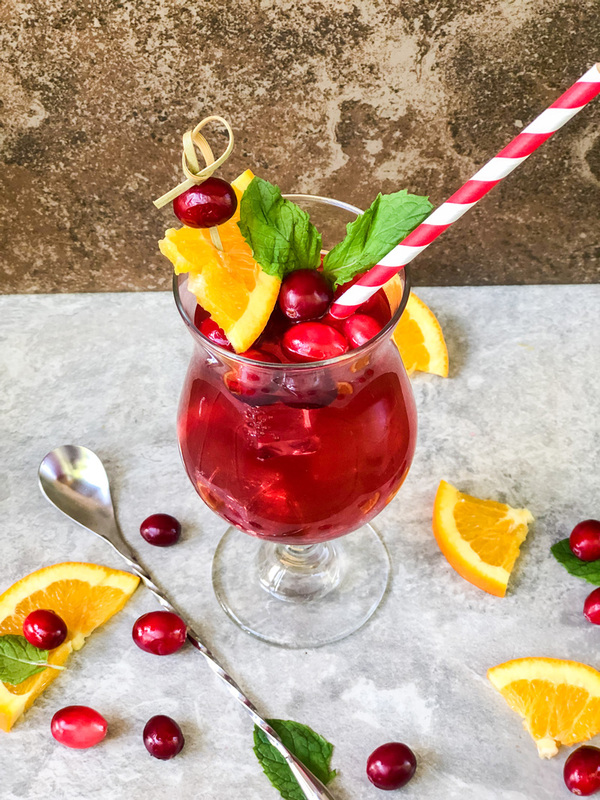 A twist of citrus, tangy cranberries, sweet raspberry and sparkling water to make it even more refreshing. You really do have to try these. Easy, and delicious. Is there any other way to enjoy a cocktail? I think one of the other great things about this cocktail, is that if you wanted to, you can play around a little with the ingredients and have some fun. If you try this out, snap a photo and post it on Instagram. Tag @dailydishrecipes so I can see your beautiful delicious creation too! 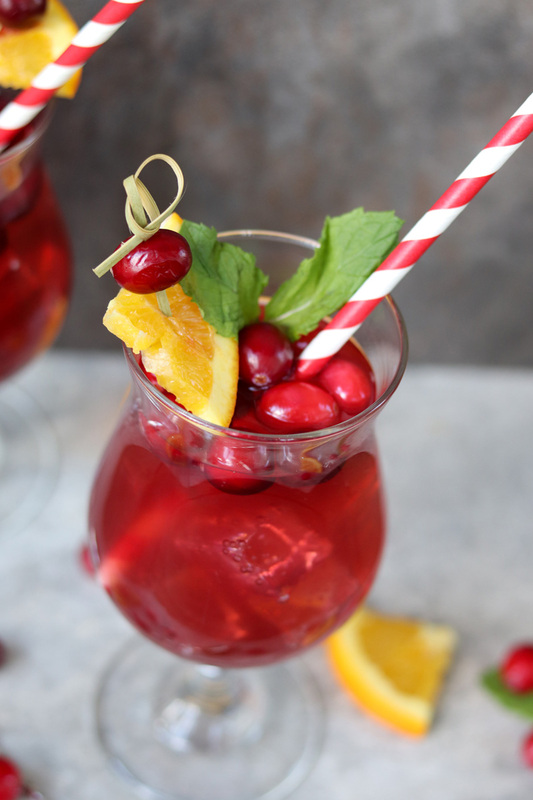 Who’s ready to make these Cranberry Raspberry Sparkling Spinner Cocktails? In a cocktail shaker, combine the orange vodka, raspberry liqueur and cranberry juice. Shake gently and pour into an ice filled cocktail glass. Top with Spindrift Cranberry Raspberry Sparkling Water. 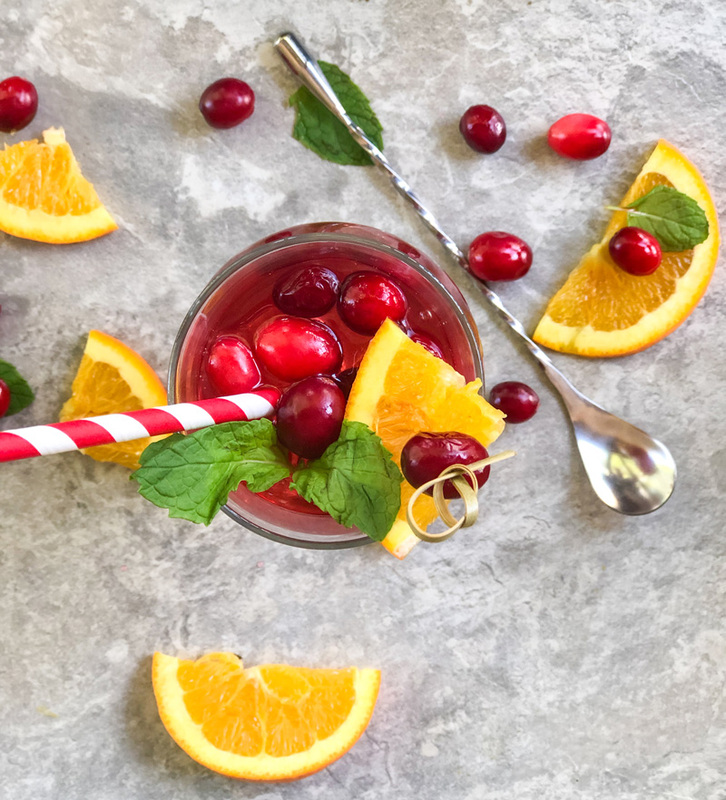 Garnish with fresh cranberries, orange slices and mint leaves. In a large glass pitcher, stir 3/4 cup vodka, 1/3 cup raspberry liqueur and 3/4 cup cranberry juice. Refrigerate. When ready to serve, fill glasses with ice. 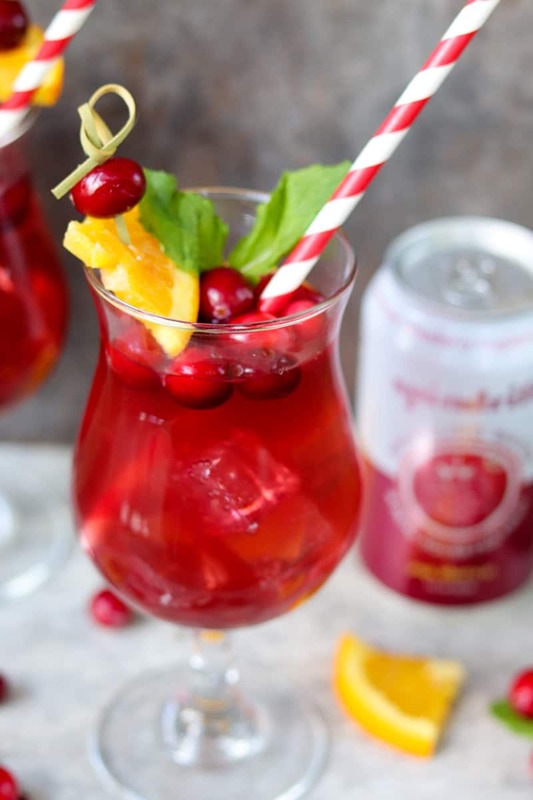 Pour into cocktail glasses and top with Spindrift Cranberry Raspberry Sparkling Water. Garnish the same as above. Serves 4-6.